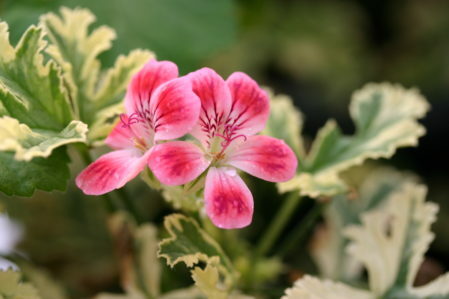 Unique Pelargonium. Shocking pink flowers with a white throat. April-Oct. Buttery cream edged, dark green, deeply cut leaves. Apricot scented. Ht. 30cm Sp. 25cm.